Mother and daughter walking and holding hands in the meadow at sunset. Close up shot of mother hands taking the hands of daughter at golden field on the sunset background. 4k00:17Mother and daughter walking and holding hands in the meadow at sunset. 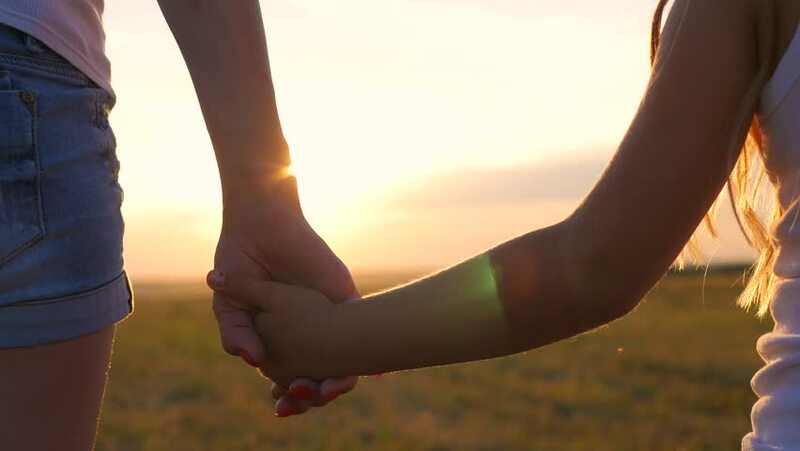 Close up shot of mother hands taking the hands of daughter at golden field on the sunset background.